Tired of replacing chair mats year after year? Our High Pile Carpet Chair are the thickest on the market! Made of a durable, .25" thick heavy duty vinyl material that is resistant to cracks when used on plush carpets up to 1" thick (including pad). Studded chair mat prevent creeping chair mats yet the studs are rounded so they won't damage your carpet. LIFETIME WARRANTY! FREE SHIPPING! 36" x 48" Rectangular Chair Mat sold above. See other sizes and shapes below. 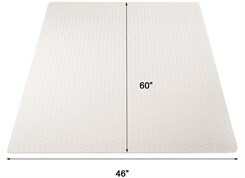 36" x 48" High Pile Rectangular Chair Mat features straight cut edges. Arrives rolled in the carton. Shipping weight 26 lbs. Please allow 1-2 weeks for delivery. 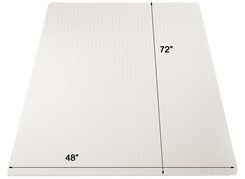 * .25" thickness ideal for home office settings, with carpets up to 1� thick (including pad). 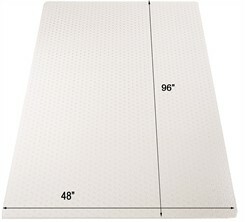 * Rounded studs grip carpet without damaging it. 1 - 5 $229.00 ea. 6 - 11 $225.00 ea. 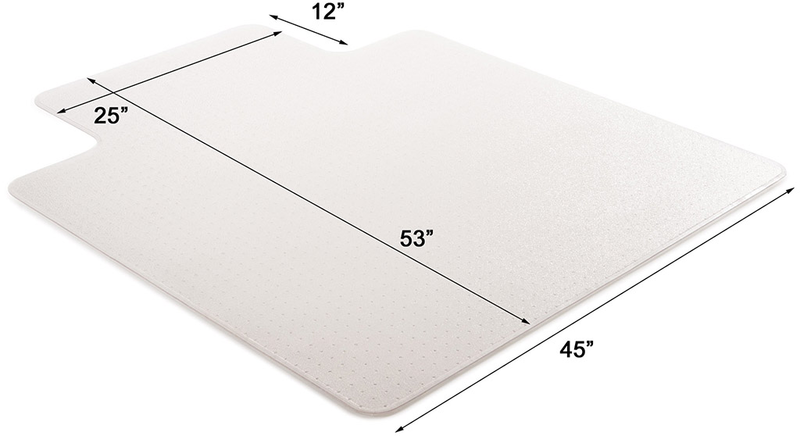 Meant for use in home office settings, with carpets up to 1" thick (including pad). Rounded studded chair mats secures your mat to your carpet without damaging it. Mat is .25" thick. Straight cut edges. Arrives rolled in the carton. Shipping weight 34 lbs. 1 - 5 $269.00 ea. 6 - 11 $259.00 ea. 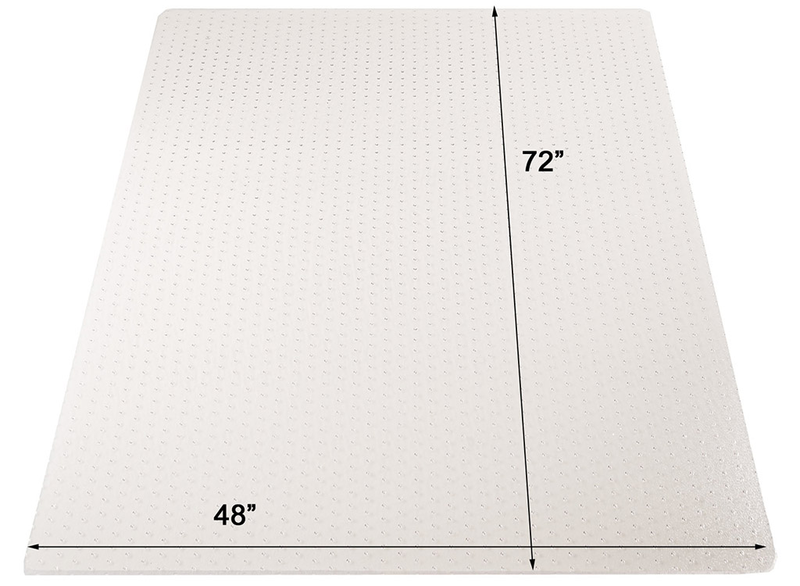 Meant for use in home office settings, with carpets up to 1" thick (including pad). Rounded studded chair mats secures your mat to your carpet without damaging it. Mat is .25" thick. Straight cut edges. Arrives rolled in the carton. Shipping weight 37 lbs. 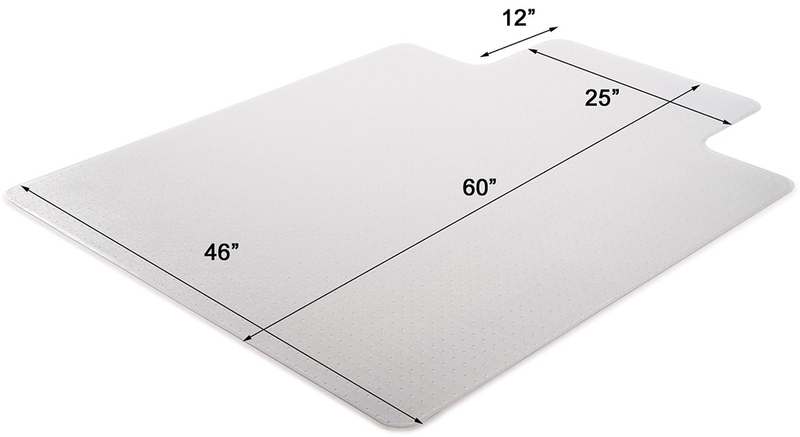 Meant for use in home office settings, with carpets up to 1" thick (including pad). Rounded studded chair mats secures your mat to your carpet without damaging it. Mat is .25� thick. Straight cut edges. Arrives rolled in the carton. Shipping weight 45 lbs. 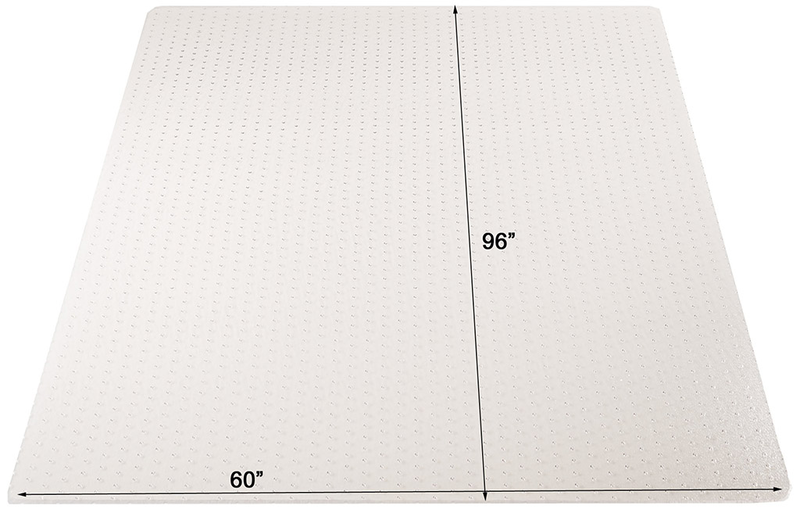 Meant for use in home office settings, with carpets up to 1" thick (including pad). 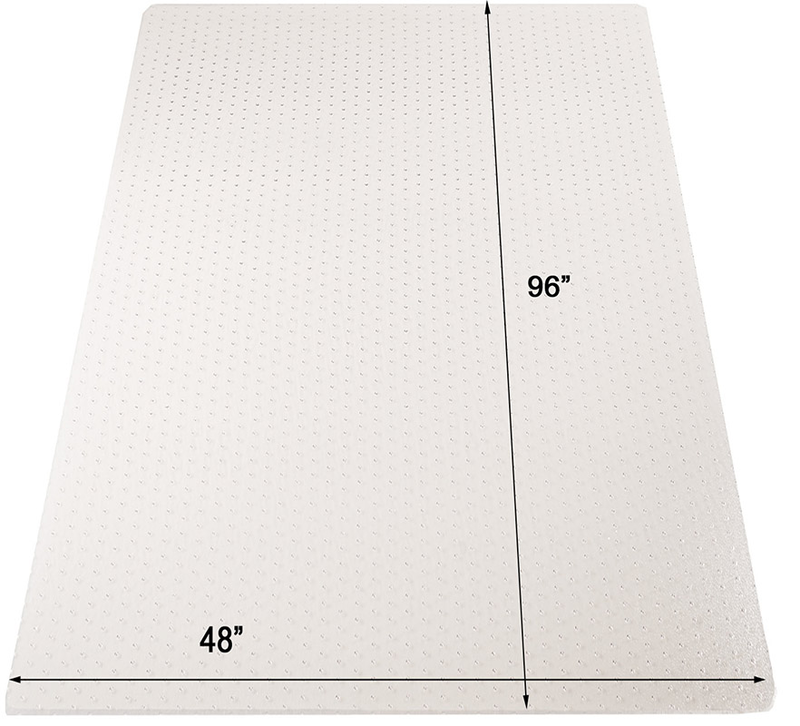 Rounded studded chair mats secures your mat to your carpet without damaging it. Mat is .25" thick. Straight cut edges. Arrives rolled in the carton. Shipping weight 62 lbs. 1 - 5 $299.00 ea. 6 - 11 $289.00 ea. 1 - 5 $339.00 ea. 6 - 11 $329.00 ea. Meant for use in home office settings, with carpets up to 1" thick (including pad). Rounded studded chair mats secures your mat to your carpet without damaging it. Mat is .25" thick. Straight cut edges. Arrives rolled in the carton. Shipping weight 42 lbs. 1 - 5 $449.00 ea. 6 - 11 $429.00 ea. Meant for use in home office settings, with carpets up to 1" thick (including pad). Rounded studded chair mats secures your mat to your carpet without damaging it. Mat is .25" thick. Straight cut edges. Arrives rolled in the carton. Shipping weight 50 lbs. Includes 25"W x 12"D lip. Meant for use in home office settings, with carpets up to 1" thick (including pad). 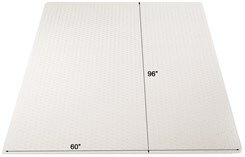 Rounded studded chair mats secures your mat to your carpet without damaging it. Mat is .25" thick. Straight cut edges. Arrives rolled in the carton. Shipping weight 25 lbs. Includes 25"W x 12"D lip. Meant for use in home office settings, with carpets up to 1" thick (including pad). Rounded studded chair mats secures your mat to your carpet without damaging it. Mat is .25" thick. Straight cut edges. Arrives rolled in the carton. Shipping weight 35 lbs. Includes 30"W x 10"D lip. Meant for use in home office settings, with carpets up to 1" thick (including pad). 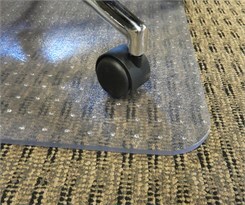 Rounded studded chair mats secures your mat to your carpet without damaging it. Mat is .25" thick. Straight cut edges. Arrives rolled in the carton. Shipping weight 34 lbs.